April 12, 2019 - Across the nation, coal-fired power plants are rapidly being retired — a cost-conscious, clean-energy trend that has spurred some of the world's largest coal interests to fund an aggressive effort to keep them running, including here in Indiana. The Energy Policy Network is leading that effort. The nonprofit bills itself as a national advocacy organization working "to develop energy and environmental policies that balance environmental values, business needs and consumer interests." Presentations made by the nonprofit's executive director, however, make its mission clear: keep companies purchasing Wyoming coal. The organization does so by intervening in utility proceedings on the state level, where they employ coal lobbyists to argue against the closure of coal plants. Now, EPN has set its eyes on Indiana as its next "battleground." It plans to spend $175,000 to fight NIPSCO's applications to purchase wind power to replace its coal-powered electricity, according to an email obtained by a public records request and provided to IndyStar. The out-of-state intervention coincides with an effort at the Indiana statehouse, also supported by coal interests, to put a stop to all new generation projects for almost two years. An amendment suggesting such a moratorium was defeated Thursday on the House floor, but those close to the process believe it may reappear before the session ends. If ultimately successful, such a move would postpone the plans of utility companies to more quickly transition away from coal toward cleaner, cheaper energy sources, such as natural gas, wind and solar power. EPN's mission to preserve Wyoming coal is apparent in a fundraising letter that was sent in February to the mayor and city council of Gillette, Wyoming. The letter was signed by 14 supporters, including executives from three of the five biggest coal producers in the United States as well as representative from coal lobbying groups and mining associations. Gillette and the surrounding county is referred to by residents as the energy capital of the nation, producing a third of the country’s coal by its own account. Wyoming as a whole produces far more coal than any other state — about 41 percent of the about 775 million short tons of coal produced in 2017, according to the U.S. Energy Information Administration. But the local coal basin, known as the Powder River Basin, has been producing less and less lately. In fact, market sales have dropped by half between 2001 and 2017. Meanwhile, coal plant retirements across the country are being planned at a rapid pace. As much as 15,400 megawatts of coal-fired generation was retired in 2018 alone, and dozens of units are on track to retire by 2025. That is, unless Randy Eminger can stop them. Eminger, who spent two decades with the American Coalition for Clean Coal Electricity, now heads the Energy Policy Network, a 501(c)4 nonprofit organization incorporated in Texas in 2015. “Suffering a major blow at the federal level, with the election of Donald Trump, it comes as no surprise that many anti-coal groups, like the Sierra Club’s Beyond Coal Campaign, have shifted major resources toward state and local initiative,” Eminger wrote in a 2017 issue of the Coal Transporter, a trade publication. EPN doesn’t have members and runs entirely off of donations, Eminger told IndyStar. Those donations are typically private, but a 2017 IRS Form 990 shows that a handful of out-of-state coal interests are funding EPN. 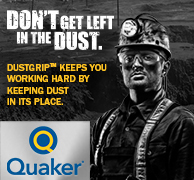 Those funders include Peabody Energy and Cloud Peak Energy, two of the largest coal companies in the United States, and the National Mining Association. In a recent presentation at the Wyoming Infrastructure Authority’s Spring Energy Conference, Eminger told attendees, “Our mission is to look at coal consuming states in the Midwest and the South, those states that consume coal from Wyoming ... I don't represent Eastern coal, or any other state besides Wyoming coal." Eminger pitched EPN’s mission as a way to keep coal plants open and Wyoming coal flowing to them. The strategy: build a broad-based coalition in the states where coal plants are being retired, hire experts, intervene in regulatory proceedings and litigate if necessary. Eminger’s pitches in Wyoming must have been at least somewhat effective: The Wyoming Infrastructure Authority, the Campbell County Government, and the state legislature altogether donated more than $300,000 in the tax-exempt organization in 2017. In all, EPN received more than $560,000 that year. That money would go on to fund "battles" like those in Oklahoma, Arkansas and Louisiana, places where the organization says it was able to extend coal plants for a combined 40 years, guaranteeing the need for millions of tons of PRB coal over the next several decades, according to a PowerPoint presentation obtained through a public records request and provided to IndyStar. A slide from an Energy Policy Network presentation, delivered in Wyoming by Randy Eminger, the group's executive director, in March 2019. Last year, NIPSCO made an unprecedented announcement. The utility, which provides electricity for more than 460,000 homes and businesses in northern Indiana, announced in September that it would retire all of its coal plants by 2028. In doing so, the utility said that it could save its customers more than $4 billion in the long term. "When considering the cost to serving customers, reliability, among other factors, renewable technologies stand out as the most viable option for customers," company spokesman Nick Meyer told IndyStar at the time. They are not alone. Xcel Energy, which provides electricity throughout the southwest and upper Midwest, recently announced plans to have retired 50 percent of its coal capacity by 2027, with a commitment to generate carbon-free electricity by 2050. And while Duke Energy has yet to release its latest generation plans for its Indiana customers, in North Carolina the company announced last fall that it would lean heavily on natural gas and solar power as it retired its older coal plants. There are several reasons that coal has become the more expensive option for electricity production, said Mike O’Boyle, director of electricity policy at Energy Innovation. Some of it has to do with complying with Clean Air Act regulations, especially limits placed on mercury emissions. In 2011, the U.S. Environmental Protection Agency proposed limits on mercury emissions from power plants. Reducing mercury emissions is expensive, and some utilities opted to close their coal plants rather than install billion-dollar technology. But there were other factors at place, O’Boyle said, particularly the plummeting price of natural gas and renewable energy technology. And as other energy sources were added to the grid, coal plants were run only intermittently, considerably increasing wear and tear. A new study co-authored by O'Boyle estimates that local wind and solar could replace approximately 74 percent of the nation’s coal power. “The big coal-fired power plants are more efficient the more they run, but if they’re getting beat on marginal costs, it’s like a death spiral for coal," O’Boyle said. "The less they run the more expensive they are to keep around." That's the conclusion NIPSCO came to during its most recent planning process. It now plans on retiring all of its coal plants by 2028, when it projects 65 percent of its capacity will come from solar power, wind power and battery storage. 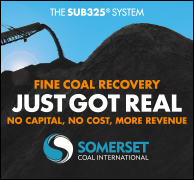 "By retiring coal over the next decade and transitioning to more competitive sources, it costs approximately $4 billion less over the long-term compared to continuing to run our coal facilities into the future," Mike Hooper, NIPSCO's senior vice president of regulatory policy, legislative affairs and strategy testified at a March 27 House Utilities committee meeting. NIPSCO, due to what Hooper called "logistical constraints," does not burn Indiana coal, sourcing its fuel instead from the Powder River Basin — the same region Eminger told Wyoming officials that his Energy Policy Network seeks to protect. A new group, called the Indiana Coalition for Affordable and Reliable Electricity, or ICARE, joined coal interests and industrial groups in March to intervene in NIPSCO's applications to purchase wind power and retire its coal plants early. According to IURC filings, ICARE’s “members include companies that support reliable, affordable electric generation sources, and coal suppliers” to an Indiana utility. 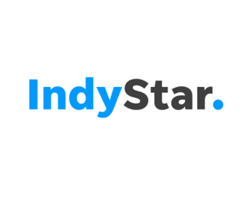 In a conversation with IndyStar, Eminger said "it’s really not EPN that’s intervening," and that ICARE is “a broadbased group” of about six or seven members, mostly businesses who are concerned with coal plant retirements and electricity rate, "but I don’t know that they want to be named, necessarily." That said, an IURC petition filed on behalf of ICARE lists only two members: EPN and Alliance Coal, LLC. In March, Eminger relayed his optimism regarding the fight to keep NIPSCO's coal plants open longer to attendees of the Wyoming Infrastructure Authority's spring energy conference. A few days later, Eminger sent an email to the head of the Florida Municipal Power Agency. "I see a good chance of winning in Indiana," Eminger wrote the former Peabody Executive. "I can’t go into it in an email, but I’ve been much more diligent about the politics in Indiana." Eminger and EPN's efforts to save Wyoming coal are far from unique, and are intertwined with efforts by other coal interests to keep utilities burning coal in Indiana. Peabody Energy, Alliance Coal, Sunrise Coal and the Indiana Coal Council, a trade group for coal companies in Indiana, have all attempted to stop state regulators from approving clean energy projects. Vectren, whose current baseload generation is powered entirely by coal, concluded in 2016 that shutting down some of its coal plants would save customers money. In its most recent resource plan, it projected $60 million in cost savings to customers through retiring 730 megawatts of coal capacity, replacing it with a natural gas plant by 2024. To replace that power, the utility is pursuing a large natural gas plant and a few small solar projects. Alliance Coal, the largest coal producer in the Illinois basin, intervened in Vectren’s solar project case in 2018. 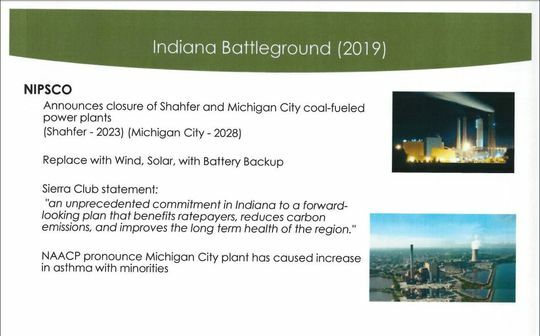 Alliance Coal was joined by the Indiana Coal Council, and Sunrise Coal, Indiana's second largest coal producer, in providing arguments against Vectren's proposed natural gas turbine. Like actors in a travelling play, the attorneys and lobbyists hired by Indiana coal interests have appeared in battles in other states. Peabody Energy, the country's largest coal company, owns mines across the country, including in Indiana and Wyoming. They hired Michael Nasi, a Texas coal lobbyist from the Jackson Walker law firm to argue that NIPSCO was underestimating the cost savings that could be expected from the Trump administration's environmental regulation rollbacks. That same attorney, who lobbies for several Texas coal interests, appeared with Eminger at the Wyoming Infrastructure Authority, where he argued for the importance of keeping U.S. coal plants open for research, among other reasons. Money has flowed from EPN to other organizations representing fossil fuel interests. In 2017, EPN gave a $10,000 grant to the Committee For A Constructive Tomorrow, which has disputed the scientific consensus around climate change. It also gave $45,000 that year to the Independence Institute, a libertarian think tank behind the Coalition of Ratepayers, which fought Xcel Energy's efforts to close down coal plants last year. Charles Griffey, a Texas consultant, represented that group in Colorado. He later testified on behalf of the Indiana Coal Council, EPN, and Alliance Coal in front of Indiana utility regulators. Other recipients of EPN grants include the American Legislative Exchange Council, the Partnership for Affordable Clean Energy, which advocates on behalf of fossil fuels, and the Consumer Coalition of Oklahoma. EPN and the Indiana Coal Council have also tapped Energy Ventures Analysis, a Washington, D.C.-based energy consulting firm, to provide testimony against NIPSCO's wind applications and its integrated resource plan. Seth Schwartz, president of Energy Ventures Analysis, also testified on behalf of members of the Indiana Coal Council in front of a House Utilities committee in March, where he advocated for a "pause" on new electric generation while the state makes recommendations for Indiana's energy future. That pause had taken the form of a controversial amendment that would have made the efforts by Eminger and Indiana coal companies moot. The amendment that offered such a moratorium was recently defeated on the House floor. But Matt Pierce, the Bloomington Democrat who contested the moratorium, said that it's possible that it could reappear before session ends. "I think you definitely have to be vigilant," Pierce told IndyStar "Anything can happen in conference committee."